While most of the economy suffers, bounce house rentals still seem to do very well. That is because kids love them and parents love to have their kids spend time on them. 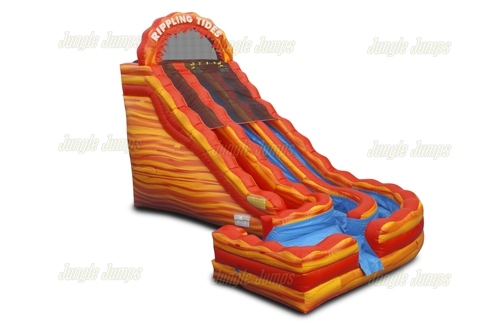 Inflatable slides can keep a kid occupied and happy for many hours and you will find that many businesses and people use these specifically to attract children. You can find them at grand openings or birthday parties. People use them for all sorts of occasions. The best part about them is that they are portable. You can set them up just about anywhere. If you are in the business of inflatable slides and bounce house rentals, then you will want to be sure that your inflatables are in good repair and that the look good. Spring and Summer are coming up on us and you will want to be certain that you are ready to go. We can help you with this. We have a large assortment of inflatables to choose from and you can even specify the color if you like. We want to be sure that you are happy and that your customers are happy. Take a look and see if we can’t help you. There are all sorts of times when people consider bounce house rentals. During summer, this is especially true. There are all sorts of great holidays where you might see a bounce house or an inflatable slide. People are always looking to get their kids out during these warm months because they want to make sure that their kids have fun and get the exercise they need. Kids really love these fun jumpers on their birthday. You can be sure that you will have a lot of people ordering these when their kid’s birthday rolls around so you will need to be ready to go. Birthday jumpers are one of the main sources of income for many bounce house rentals stores. Of course, you will find a lot of clients like businesses, churches and the like, but it is the individual families where you will find the bulk of your business. Making sure that you have just what your clients are looking for is going to be the key to you finding success in this thriving industry. We have many different styles and colors to choose from so you will be able to find what you need.